If you already use photo or image for the theme in your web Gmail and now you want to delete it, to make it back to look simple. Where is the option to remove the theme? or option for returning to old theme?. 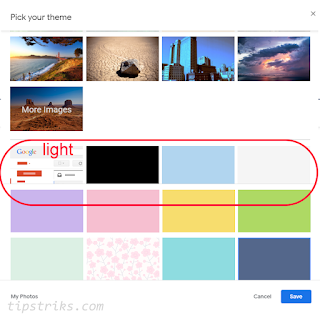 There is no option to remove theme, but you can choose a simple theme, like light theme, soft gray, or other colors you like. Go to Settings (Gear icon, at the upper right side of the page), then choose Themes. Choose simple theme is like Light, and Save it.